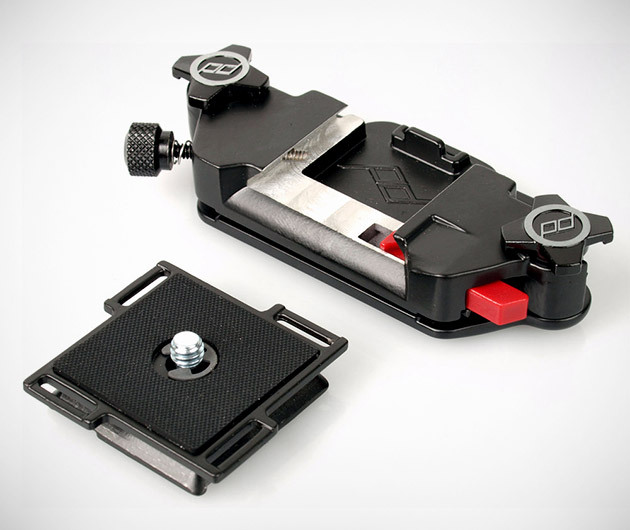 Made of die-cast alluminum, the Capture by Peak Design allows you to take your camera anywhere. Simply attatch to any belt or strap, and you are ready to go. The Capture is designed to hold any camera, and with a quick release button you will be prepared to take photos anywhere you take your camera.